Want to Join Our Church? Interested in joining the Catholic Church? You are welcome at RCIA. Starting in the Fall (Thursdays) 6:30 p.m. – 8:00 p.m. Xavier Hall, on Heitman Street, Fort Myers, FL. The process of joining the Roman Catholic Church is known as the Rite of Christian Initiation of Adults (RCIA). Each year, adults seeking to join the Roman Catholic Church receive weekly support, encouragement and assistance from the RCIA team and from parish companions, catechists and guest speakers. This period may last a few months or a number of years. Sometimes inquirers realize that they are not ready or willing to belong to the Christian community. They leave with the blessing of their companions and catechists as they continue to search for spiritual meaning. Others find that they are attracted to our way of life and are drawn to the person of Christ. Like the disciples of old, they wish to follow Jesus and move to the next stage of the journey, which is known as the Catechumenate. This stage begins with the Rite of Acceptance. Those who enter this stage are claimed for Christ and marked with the sign of the cross. They are then called catechumens if they are unbaptized or candidates if they have already been baptized in another tradition. This period of the RCIA is a time for the catechumens and candidates to deepen in faith and commitment to Christ. Although they are not yet able to share at the table of the Eucharist, they can participate in the Liturgy of the Word each Sunday. This stage of the RCIA usually lasts for several months until the Easter Vigil. It includes formal sessions on Catholic teaching and practice and is an opportunity for the individual to grow in prayer and to mature in faith. With the support of community members, parish companions, godparents and catechists, the catechumens and candidates steadily conform their lives to Gospel values. They continue to deepen their relationship with Christ, and when they, with the guidance of their catechists, discern that they are ready, enter into the next stage of the catechumenate, Purification and Enlightenment. 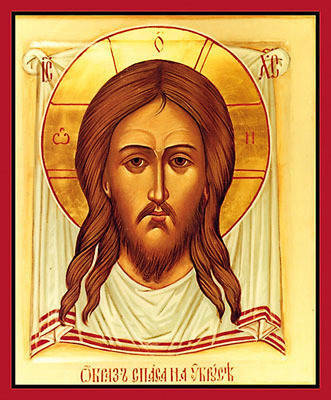 This stage begins on the first Sunday of Lent with the Rite of Election and the Call to Continuing Conversion. In local parishes, catechumens inscribe their name in a book which is presented to the Bishop in a ceremony at the cathedral later that day. 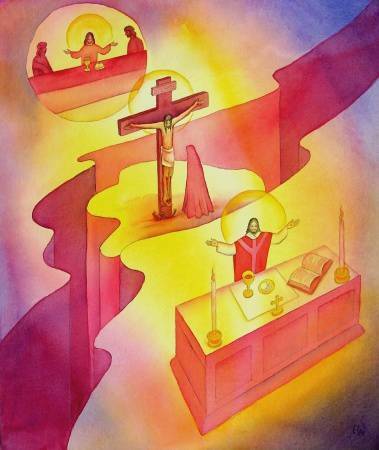 The next 40 days are intensive days of preparation to receive the sacraments at Easter. The local community accompanies the Elect (unbaptized) and Candidates (already baptized) by participating in the Lenten practices of prayer, fasting, and almsgiving. Special rites of interior searching, known as the scrutinies, are celebrated with the elect and candidates. These take place on the 3rd, 4th, and 5th Sundays of Lent. This final stage of the RCIA is a period of rejoicing in the awareness of God’s presence by praying and eating at the banquet of the Eucharist. 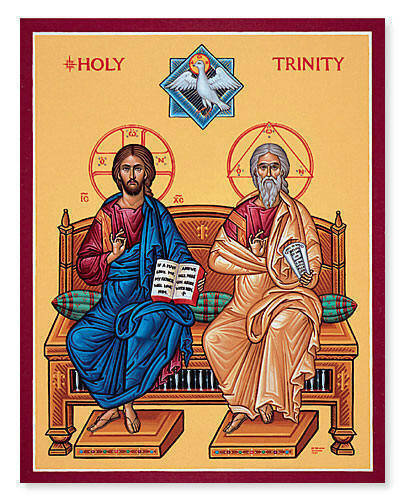 This stage concludes with the Feast of Pentecost where, through the Gifts of the Holy Spirit, we are sent into the world to do the work of the Lord. There is also an opportunity to share prayer and community with others in the parish by participating in ministries of service both within and outside of St. Francis Xavier Church. If you are an adult who was baptized and active in another Christian tradition, and have more than a year of experience within the Roman Catholic tradition, you may want to discuss this process and any other available alternatives with a member of the RCIA Team. Contact the St. Francis Xavier Parish Office, 2055 Cleveland Avenue, Fort Myers, FL 33901, (239) 334-2161. Inquiry will meet on Thursday evenings for five weeks, and you will have the opportunity to participate in the Rite of Acceptance for those discerning God’s call to take a next step in the RCIA process. Inquiry Sessions are informal sessions that provide opportunities for the inquirer to ask her/his questions about the Catholic faith. A team of staff and volunteers from the parish community, along with other inquirers, are ready and willing to explore these questions with you. Drop-ins are always welcome. For more information please contact the St. Francis Xavier Office, 2055 Cleveland Avenue, Fort Myers, FL 33901, (239) 334-2161. Are you looking for a way to live your faith? Do you want to get more involved with parish life? 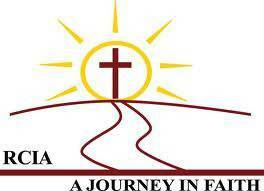 Our parish priests and the RCIA team are asking you to consider walking with one person who is on a journey of faith. Companion volunteers welcome all new candidates to RCIA and our parish community by providing a brief overview of St. Francis Xavier's mission and descriptions of the various ministries. You may wish to invite candidates to attend mass with you on the weekend. You will get to meet many new people and personally invite them into the life of our parish. The time commitment for sponsors will average two hours a week, which will occur on Monday nights. You may also wish to attend weekend Mass with the person discerning a call to be a Catholic Christian. The process of joining the Roman Catholic Church is known as the Rite of Christian Initiation of Adults – RCIA. Throughout the fall, our parish will be welcoming people inquiring into our faith into the catechumenate, and this is where companioning begins and continues to their reception into full membership in our church at the Easter vigil. All of the presentations used in the RCIA have been developed over the years and include presentation materials, related articles and a bibliography. 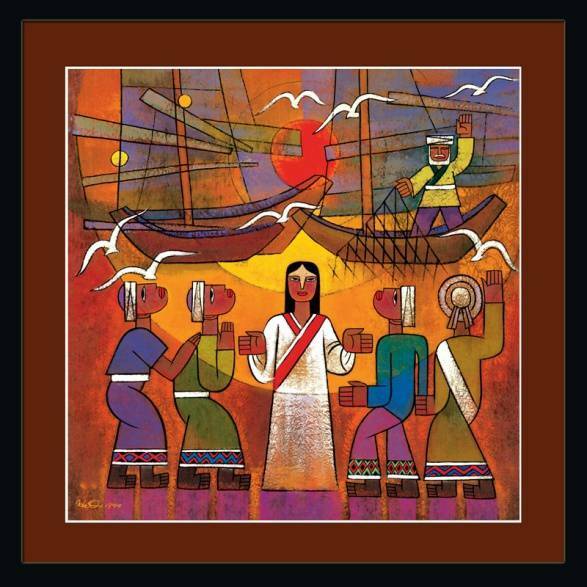 Additional catechists are needed to make these topics become alive to the RCIA candidates. Your personal stories of faith combined with presentations on the Eucharist, Prayer, and Mary, etc. serve as a witness as to how the Living God is active in our lives. One day all of us will stand before the Lord and He will ask us what we have done with the gifts He has given. One answer could be our work in spreading the Gospel by participation in the parish RCIA program. Parishioners who have been through the marriage tribunal process are needed to counsel those seeking annulment of a previous marriage. Advocates provide support and answer questions using their experience as a guide. They can assist in the preparation of tribunal forms and ensure they are properly completed. Volunteers do not have to be either experts or saints – just regular folks willing to be present to another on a consistent basis over a period of time. This is a wonderful way to learn more about your faith, to get to know another person in the parish, to grow in your ability to talk a little about how you experience God in your everyday life. If you are interested in discerning this very important ministry and offering your support to those God is calling, please contact the St. Francis Xavier Office, 2055 Cleveland Avenue, Fort Myers, FL 33901, (239) 334-2161.